Today, I have the enormous pleasure of welcoming the Pushcart Prize-winning author Michael Kardos to our little Bookish corner! Michael is here to chat about his latest novel, BEFORE HE FINDS HER, as well as to talk about bookish things in general. I am beyond excited to be able to introduce Michael to you guys! I will be reviewing BEFORE HE FINDS HER later on this month (March 16th), so if you're curious what I thought about it, be sure to come back! 1) Welcome to Bookish Michael! It's such an honor to have you here with us today. Can you tell us a little bit about your latest release, BEFORE HE FINDS HER? 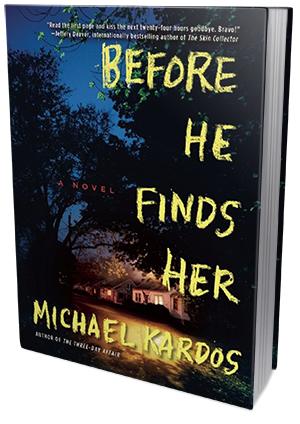 Before He Finds Her tells the story of a young woman who, after fifteen years, flees the witness protection program and returns to her New Jersey hometown, where she hopes to track down the man she’s been hiding from all this time—her own father. 2) Who or what inspired you to write it? Ramsey Miller, the father, lived in my mind and my hard drive for a number of years before I got around to writing him into a novel. He ardently believes that a catastrophic planetary event is about to end all life on earth. Conveniently, this would also solve all his personal problems. So when the catastrophe doesn’t happen, he’s left with the decision of whether to cause a catastrophe of his own. 3) Did you face any challenges in bringing your story to life? Did you have to do any research? One of my main characters is a long-haul trucker. The other is a pregnant 17-year-old. I am neither. So I had to do lots of research. 4) Which part of the writing process do you enjoy the most? Definitely the second draft. I love revision once the basic story is in place. Though really, I love the whole process, seeing it all take shape. 5) Is there a message in your book you want readers to grasp? I think any message is up to the reader—which isn’t to say that my novel isn’t about anything. It’s actually about lots of things. But if I were able to state the message neatly, apart from the novel, then I probably wouldn’t have needed to write the novel. 6) What are some of your literary inspirations? Favorite books or writers? 7) When you're not writing, how do you spend your time? I’m at the beginning stages of a new novel. I’m afraid to talk about it for fear of losing energy on it. 9) Who would be in your ideal book club? 10) What are some of the books on your To-Be-Read pile? 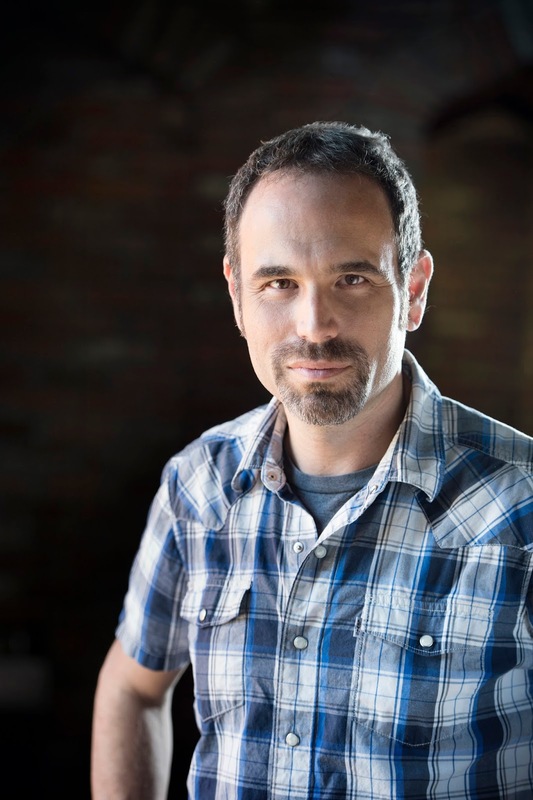 Michael Kardos is the Pushcart Prize-winning author of the novels Before He Finds Her (2015) and The Three-Day Affair, named by Esquire as a Best Book of 2012, and the story collection One Last Good Time, winner of the Mississippi Institute of Arts and Letters award for fiction. He received a degree in music from Princeton University and played the drums professionally for a number of years before receiving his MFA from Ohio State and his Ph.D. from the University of Missouri. He currently lives in Starkville, Mississippi, where he co-directs the creative writing program at Mississippi State. But everyone is wrong. The daughter got away. Now she is nearly eighteen and tired of living in secrecy. Under the name Melanie Denison, she has spent the last fifteen years in small-town West Virginia as part of the Witness Protection Program. She has never been allowed to travel, go to a school dance, or even have internet at home. Precautions must be taken at every turn, because Ramsey Miller was never caught and might still be looking for his daughter. Yet despite strict house rules, Melanie has entered into a relationship with a young teacher at the local high school and is now ten weeks pregnant. She doesn’t want her child to live in hiding as she has had to. Defying her guardians and taking matters into her own hands, Melanie returns to Silver Bay in hopes of doing what the authorities have failed to do: find her father before he finds her. Weaving in Ramsey’s story in the three days leading up to the brutal crime, Before He Finds Heris a stirring novel about love and faith and fear—and how the most important things can become terribly distorted when we cling to them too fiercely.